Imagine for a moment, that just one segment of your company’s data storage was unrecoverable due to equipment failure or human error. How difficult, or should we say impossible, would it be to recreate the missing data? Now imagine a natural disaster wiped out all of your company’s data. Assuming you would be able to stay in business (only about 6% are able to), what would it take to get your data stores back to a place where you could operate again? After one of these catastrophic events, would be the exact wrong time to discover the answers to these questions. Unless your company conducts all of their data transactions in the cloud, it is imperative that you carefully consider implementing a data backup and recovery plan now. If you already have a data backup and recovery plan in place, please continue reading to ensure no revision to your plan is required. While the plan need not be formal and lengthy, it should be reliable and actionable immediately. Let’s look at some of the options and considerations that should be incorporated into your data backup and recovery plan. 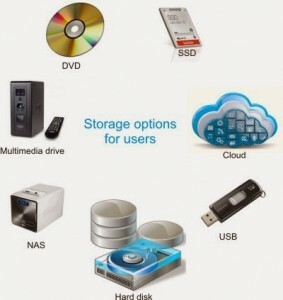 What data backup options are available? Each of these three ways are used in this article and they can sometimes be interchangeable. Now, let’s begin our examination into the best possible data backup and recovery plan. Several factors will guide you toward the best options to choose for backing up your data. We will discuss these factors throughout, but for now we’ll simply describe the available options. Disc storage capacity – A CD can hold about 700 MB, a DVD can hold 4.7 GB, and a Blu-Ray typically holds 25 GB. Media durability – Discs that are not properly handled can get easily scratched, making them partially or completely unreadable. Media longevity – Optical media has not been around long enough to give a definitive answer but life expectancy ranges are estimated to be from 25 years to 200 years, depending on environmental factors (storage temperature, humidity, light sources, altitude) and method used to write the data to the disc. Re-writable CD discs tend to be at the low end of the range while commercially burned Blu-Ray discs are at the upper end. Media deprecation – How many computers sold today have a floppy disc drive? Many computers being shipped today do not come with a CD drive. It may take a while for optical media CD’s to be considered “antique”, but it will happen soon enough. Multiple terabytes of hard disk drive storage space are readily available in each drive and very inexpensive in internal, external and portable varieties. Hard disk drives are much faster to back up large amounts of data than optical media. However, a hard disk drive has moving parts that will wear out and break down. While these factors tend to make hard disk drives unappealing long term storage devices, they are probably the best short term storage devices available. Tape drives have been used as a part of network data backup practices for years. While hard disk drive storage is taking market share from tape drive storage, it is still very common. Hardware is affordable and the tape write speed is impressively fast. There are no moving parts on a solid state drive, which can be an advantage. However, if the cells contained within the solid state drive lose power, which could happen within a year if the drives are left untouched, the data could very well be lost. The cost per mega-byte is still fairly high, compared to hard disk drives, so it could be very costly to store large amounts of data long term. What happens when you don’t have access to the internet? What happens if the company goes out of business? What happens if the cloud servers get hacked? These are all very valid concerns but questions two and three have fairly simple answers, which we’ll answer below. Question one is a tricky, because if you don’t have internet access, you obviously cannot access your files. To take this concern a step further, you cannot save your files in the cloud, either. Which is the best option for storing my data backups? With the review of each storage option above, you may see a pattern that leads you to believe that there is no single right answer that stands out. Each option has advantages and disadvantages and if not considered carefully, those disadvantages could prove to be catastrophic. In all actuality, the best solution consists of several of these options used in combination to create a system of redundancy. This supports the data backup storage rule of thumb, which tells us to have three copies of everything. This way, if one storage medium fails or if a file becomes corrupt, you have two other copies to attempt to restore from. Let’s take a look at how having three copies of data might look by using an architectural firm as an example. Architectural plans are drawn up using specialized computer software that creates the drawings and organizes other images and applicable media into a set of plan files, which turn out to be incredibly large. The company’s network engineer most likely has a large number of hard disk drives all working together to provide storage for these large files on the network, and not on the local user’s workstation. This 1st level of storage is the working copy. Another network device, called a NAS or Network-Attached Storage, holds a duplicate copy of the most important files and other high priority data backup files. The files contained on the NAS represent the 2nd level of storage. The data stored on the NAS is then encrypted for security purposes before it is uploaded to a cloud storage service, which ends up being the 3rd level of storage. This data backup storage scenario is fairly low cost and highly reliable. You may feel that backing up all available data on your workstation computers and network systems is the best possible data backup plan. Let’s examine the data that is available and how it should be backed up through the plan. What data should be included in the back ups? Should the data be backed up at all? How often the data should be backed up? Should the data have more than three backup copies? Should the data have less than three backup copies? How does the data fit into the long term storage plan? 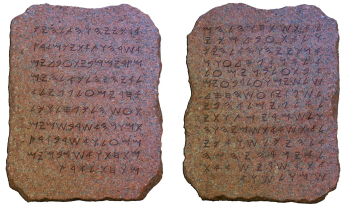 What the data contains will also play a role in determining the data priority. PDF copies of invoices emailed to clients may earn a lower data priority than detail budget reports, because the invoices can be regenerated with a greater degree of ease than can the detailed explanations that are found in the budget reports. How often the data changes plays a role in determining its backup schedule. Data that is only updated on Mondays would only need to be backed up weekly. Additional hardware will most likely be required when implementing the data backup and recovery plan. Additional hard disk drives, a tape drive and tapes, or even an additional or larger internet connection to upload backup data to the cloud may need to be planned for in budgets. Remember to include any recurring costs in future budget years for medium that will need to be replaced or refreshed. As noted in the description of the Tape Drive above, data backup schedules can be set to run as many times as needed during the day to capture and copy particular data changes. Nightly data backups are probably the most common frequency at which backups are scheduled. Each business will have to determine what their minimum frequency will be, based on all of the considerations listed here. Like a sports team has its 1st, 2nd, and 3rd string set of players that can cover any given position in the event their upline counterpart cannot, staff members will need to be assigned responsibilities to ensure backups are made consistently and reliably. One staff member needs to take the lead role, or 1st string, and one or more different staff members need to be 2nd or 3rd string players. Communication between these staff members will be crucial to ensure backups are taken care of on schedule. Will All Data Be Backed Up Every Time? Full Backup – A complete backup of all data based upon data priority and schedule. A full backup can range in size from hundreds of gigabytes to several terabytes. Incremental Backup – A backup of data that has changed since the last full or incremental backup. Depending on the data activity at a company, incremental backups can range in size from megabytes to gigabytes. A possible backup schedule may have a full backup run on Friday evening with incremental backups running Monday through Thursday evenings. What About Long Term Data Storage? Let’s take a little walk down memory lane and see if any of these sound familiar. Lotus 1-2-3, dBase, WordPerfect, or FileMaker? Respectively, these were spreadsheet, database, word processing, and list manager business software applications that were widely used, and now no longer exist as active software. While files that were created using these software applications may be “readable” by Microsoft Office or some other Freeware utility, these are not formats that you want to store important historical business information in indefinitely. That being said, what is the best approach to safely maintain accessible historical documents? You could archive a copy of the installation files for each application along with the data files, but this will only work for so long because DOS applications can no longer easily be installed on most Windows machines. Although, there is no single answer that can easily apply to all different file types, a little effort and planning can keep each file type viable. For database and list management files, aside from exporting each table’s data to CSV files, this is going to be the best option if data needs to remain readable and accessible. For spreadsheets and word processing documents that need to remain active and working documents, this is going to be the best option. Issues may arise where more modern software does not recognize a feature or function from the original document, so it’s best to have a staff member who is familiar with both the modern and original applications conducting the conversions. What are the chances that the internet browser, whether Chrome, Internet Explorer (Edge), Safari, etc., will become extinct? At the time of this writing, our guess would be never. What better option than to convert word processing, spreadsheet, and even some database or list management files to HTML format? We’re trying, but nothing comes to mind yet. 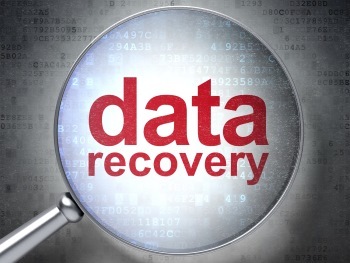 The ultimate purpose of a data backup and recovery plan is to get your business back up and running with minimal data loss in the event a total data loss occurred. The “recovery” portion of this plan is what will have your data restored to a computer or network system with little or no downtime and as little data loss as possible. Based upon your data change frequency and your backup plan frequency, some data loss may occur. While you can have complete transactional redundancy, this level of data replication may not be realistic for your business. The frequency of your backups should represent the amount of loss your business is able to tolerate. The “responsible parties” that were mentioned above should be intimately familiar with the backup management software package. They will be called on to restore data from all different levels and time periods. Some restorations may be for comparative purposes only and are not mission critical. Each request will have a unique set of circumstances and the each of the 1st, 2nd, and 3rd string staff members need to be prepared to provide the proper data from the proper backup, quickly. What About Compliance With Governmental Regulations? While G&C Technical Services can help you with the hardware and software needed to backup your data, we cannot help you determine what data needs to be backed up to ensure that you are in compliance with any governmental regulations that may be applicable to your business. We leave this task to those accountants, attorneys, or specialists that are trained to keep you out of hot water. We’ll stick to what we’re good at and we’ll let them do what they do best. We are intimately familiar with all topics discussed in this article. We would welcome the opportunity to assess the data needs of your company so we can help you implement a data backup and recovery plan. Even if you just have a question or two about something in the article, please don’t hesitate to call. Our wish is that you call us sooner rather than later. DISCLAIMER: This document is for informational purposes only and this list is not intended to be complete and comprehensive but as an aid in creating a Backup & Recovery Plan (BRP). 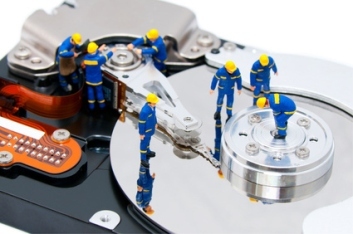 G&C Technical Services can conduct a survey of your company’s computer and network systems to help you create a BRP that will backup the files within the scope of the plan. Any files lost that are outside of the scope may not be recoverable.